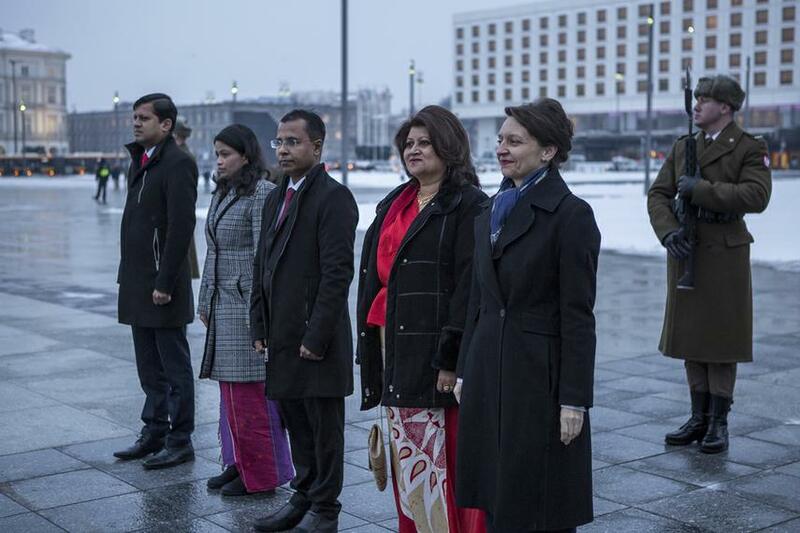 Today 9th January 2019, Sri Lanka’s new Ambassador C.A.H.M Wijeratne Presented his Credentials to Polish President H. E Andrezej Duda in Warsaw. 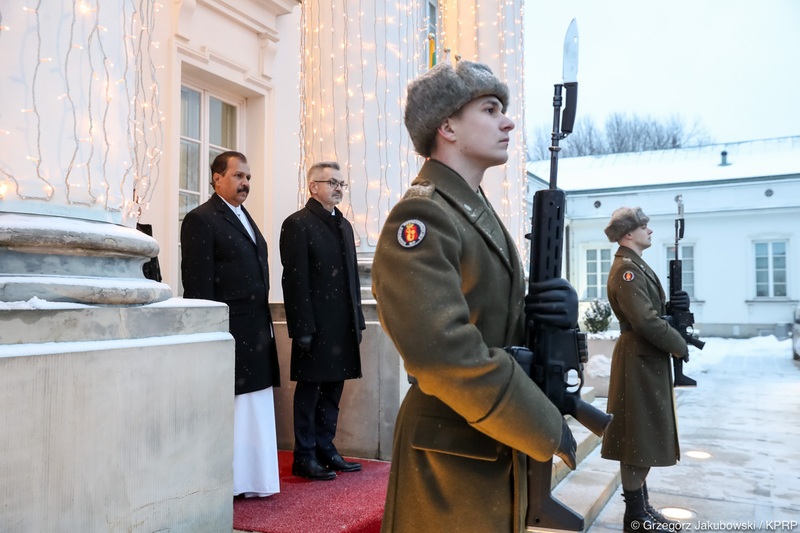 During the Conversation following the Ceremony for the presenting of Credentials, President Duda and Ambassador Wijeratne Confirmed Close relations exit between Sri Lanka and Poland. 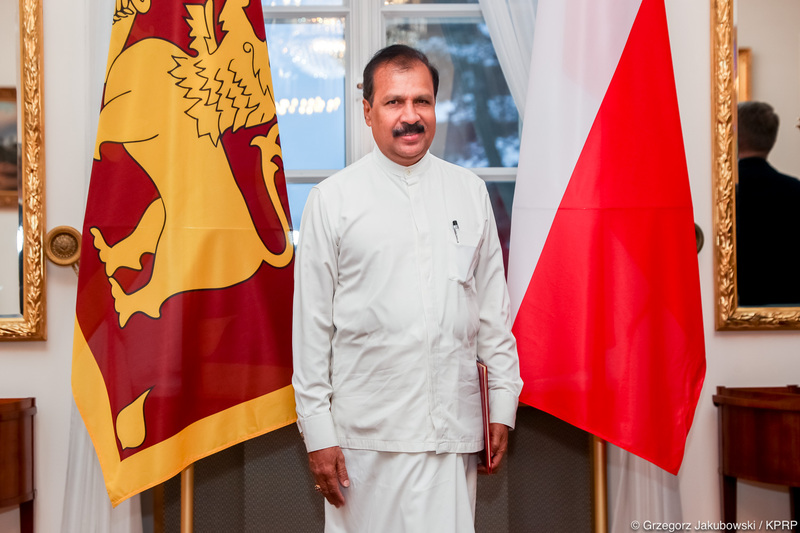 The Ambassador conveyed to the Polish President the Good Wishes and felicitation of the Sri Lanka President. 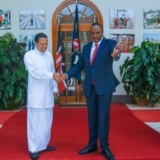 The President and the Ambassador also discussed the opportunities for Promoting Economic relations and Education – related cooperation between the two Countries. 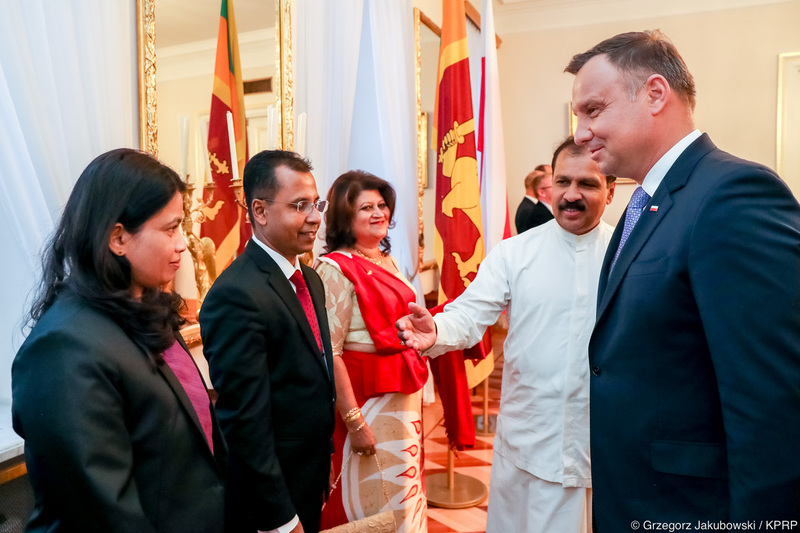 The conveyed to the Ambassador that he has noticed the increase of polish tourists to Sri Lanka every year. 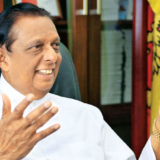 He also mentioned that there are a lot of untapped potentials to improve tourism and economic cooperation between Sri Lanka and Poland. 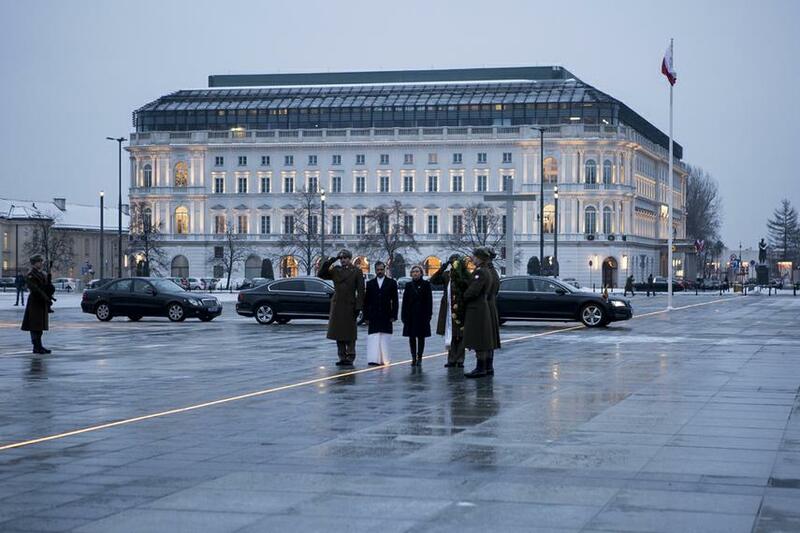 The President also requested the Ambassador to take action to improve economic, Political and Cultural Cooperation exit between both Countries during his tenure in Poland. 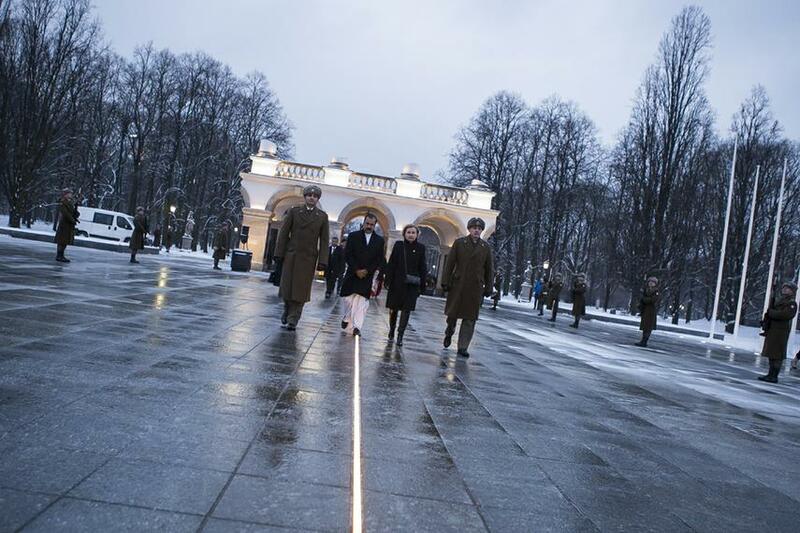 He also assured his government’s full support for this endeavor. 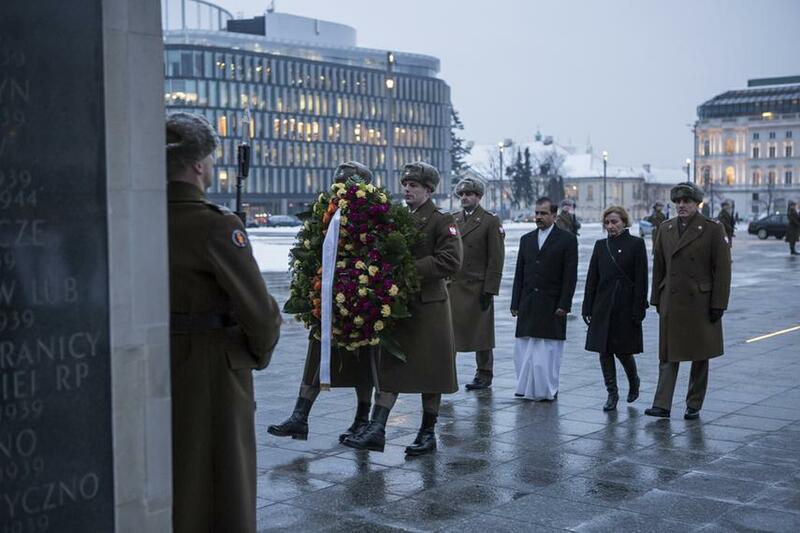 Following the ceremony for the transfer of Credentials in the Belvedere Palace, Ambassador Wijeratne placed a wreath on the tomb of the unknown soldier in Pilsudski square in Warsaw. 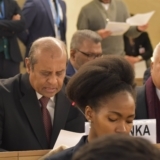 He has also worked as Deputy High Commissioner to Canada, as Deputy Head of mission in Italy, as Director to SAARC organization, as Counsellor in Indonesia and as First Sectary of the mission in Germany.